In between the cries of 'warmer' (apparently I'm really bad at making the perfect temperature milk) and that goes for bath and showers too. Albie hasn't quite grasped that when you say warmer it means to make it hotter! I'm currently being ordered about by a 3-year-old dictator, so you can imagine its quite testing to get him to take orders from me! Through frustrating times during our potty training journey, I'm afraid I have to admit I've resorted to bribery, yes, my bad. Chocolate has been used. But I find, as my child had such a fear associated with no 2's, something had to give. I'm laughing as I write because he had his morning poo (a Vesuvius may I add) - and it was in the potty. After this he ate two brioche rolls and a whole pear and because Albie is aware he's been a clever lad, he said: 'now I can have ONE chocolate!' With the one being heavily accentuated. So now he's playing ME at my own game knowing he's simply done the things he should - but he's expecting his reward - fair enough. Since Albie was two, every morning in his milk I have to put a sachet of Movicol. Its a laxative for the treatment of constipation in adults, adolescents and elderly. Movicol helps you to have a comfortable bowel movement even if you have been constipated for a long time. It also works in very bad constipation called faecal impaction - which Albie has. As the months have gone on, I've noticed a change in his bowel movements, he used to cry every time he felt the familiar tummy rumble, and believe me, before Movicol I can understand why he felt so frightened after having to manipulate his poo out and seeing how hard and dry it was. So basically I'm updating you to say we're at the final stage of our Huggies potty training journey - he's just turned 3, and now has a regular morning poo - which is a delight to see (honest!) instead of waiting three days, a lot of tears, frustration, even high temperatures at times and refusal to eat. It's been really hard, and if any of you mums can relate please talk to us! Every night we read a story, I toilet him, then remind him, if he does have a pull up on, to pull it down and wee or poo in his potty. We've had mixed results - but we're almost there. I have no doubt there will be the odd accident but make sure you line the bed/cot with an water resistant bed cover for that reason. With day time dryness well underway, it’s time to focus on how to help your little one stay dry through the night. - Create a calming bedtime routine and get him into the habit of having a last wee before bed. 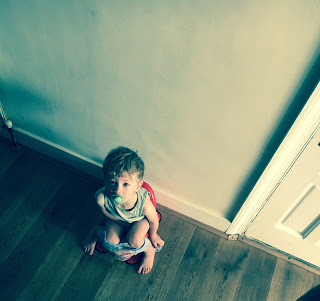 - From the very beginning of a toddler’s potty training journey the key is consistency, so stick with his training pants once you’ve made the switch. - While it's not necessary to restrict drinks in the evening, it is best to avoid fizzy or caffeinated drinks as these can stimulate the bladder into action. - Make sure your little one can get out of bed by himself should he need to visit the toilet during the night, and help him see where he's going by switching on a nightlight or with glow in the dark stickers. you notice that your child's Huggies® Pull-Ups® are dry for a few mornings in a row, try without. If he has an accident in bed, go back to Pull-Ups® Night-time pants and try again later on. Remember, wetting at night can be common up to the age of 5 or more. accidents can be sorted quickly and calmly. • Reassure – while frustrating, night-time accidents aren’t your child’s fault. Help him stay on track by reassuring him that it's nothing to worry about. • Stay calm – your toddler will sense if you’re stressed, which will add to his own feelings of failure. If you’re OK with it, he’ll be OK with it too. • Don't be disheartened – accidents at night are common in young children and the odd accident every now and again is not a sign of failure. Accidents are normal, so it’s best to handle these with patience, reassurance and support, resort back to a Pull-Up, like we did and start again. Huggies® Pull-Ups® Night-time feature clever fading graphics to help kids understand when they’ve had a dry night and encourage them to achieve this final stage of potty training.